So I’m working on a movie in the Pixie Hollow fairy franchise for Disney, and ours centers on Fawn, the animal talent fairy. Well, while at Disneyland recently, we decided to go to the Pixie Hollow attraction so my daughters could meet and take photos with a couple of the Disney fairies. As we took our place our place in line, one of the attendants apologetically announced that Tinkerbell was taking a break and we might want to come back later. 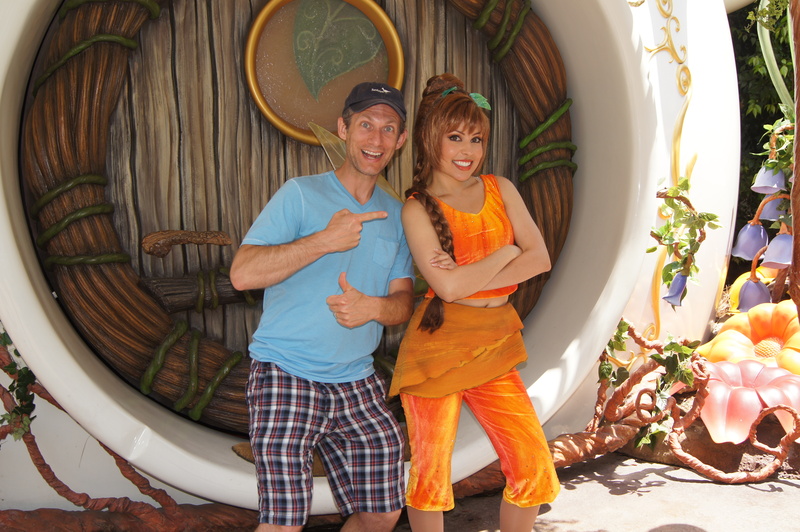 “Who is in Pixie Hollow right now?” I inquired. “Fawn.” Perfect. So it wasn’t just my girls who got photos with Fawn! Holy Home Tree! It’s Fawn! Explain to me the extent of how you will use the drawing and what for. I can then decide if I will allow its use and give you a price for its use.